Feelings of anxiety, stress, depression, and many more symptoms can accompany menopause and other hormone shifts. Although hormonal shifts occur every month in a woman's body, the heaviest symptoms are usually felt from menopause or while approaching menopause. These symptoms at times can be overbearing and often force women to make adjustments to their daily lives. For this reason, many women turn to natural hormone replacement therapy as a solution to these new symptoms. Hormone replacement therapy is a process where estrogen and progesterone are introduced into the body to stabilize hormone levels in order to decrease or eliminate the symptoms of menopause. Menopause signifies the end of the reproductive cycle and the body's need for fluctuating levels of hormones. With the last egg released from the body, hormone levels are likely to fluctuate heavily during this period before levels drop to a low level and stay there. 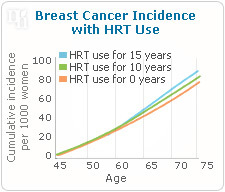 HRT gives women more estrogen, so that the symptoms will not be as intense. The estrogen administered is almost always accompanied by progesterone, often in very small quantities to make sure that the hormones in the body stay balanced. It is hard term to define. Biotherapies have become very popular in recent years. Biotherapies require a woman to go into a hospital or clinic and give a blood sample. Scientists then use the blood sample to locate the hormones and grow hormones from the woman's cells. 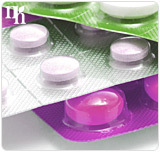 This process is said to be better than HRT because it eliminates the health risks and causes fewer side effects. However, biotherapies are not FDA approved and have not been found to decrease health risks or to lower menopausal symptoms. As mentioned previously, natural hormone replacement therapy can be just as dangerous as the clinical hormone replacement therapy. It is best to talk to your doctor about the possible risks involved and what options are available to you. While going through these changes, it is important to exercise and eat a healthy diet. These lifestyle changes will greatly improve your health both physically and mentally. However, there are some alternative medicines like aromatherapy and herbal supplements, which are good natural alternatives. These often come with no side effects and can be taken alongside other treatments.